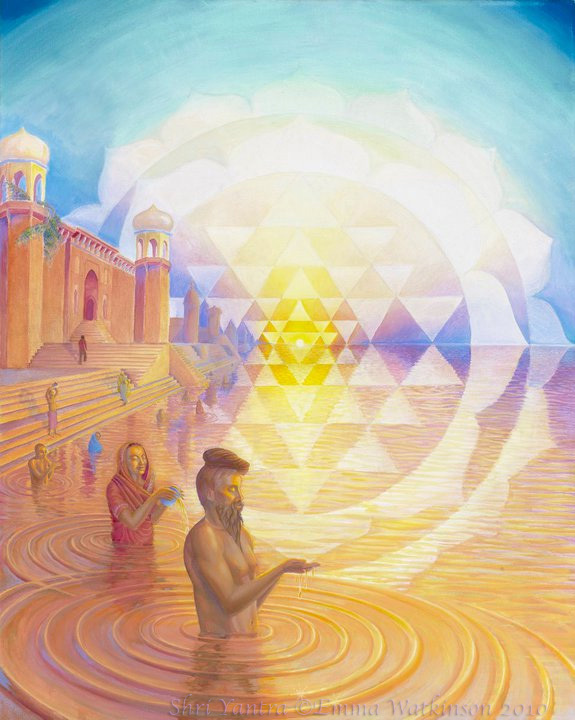 Shri yantra, 2010. The Hindu shri yantra express the harmonic resonance of the divine masculine & feminine in blissful union. Inspired by time studying indian classical music in Benares,( Varanasi ) India. Each dawn, devotees rise & bathe in the Ganga offering their prayers. Painted just after attending the Kumba Mela, the largest gathering of holy men on the planet.